If you haven’t used Pretty Mommies products, you’re missing out! When you’re pregnant, you become accustomed to all the advice concerning things you should and shouldn’t do while carrying a child. Among the gravest warnings you receive concerns your health and the substances that you come into contact with. From the products you use to clean your home to the beauty products you put onto your skin, there comes cautionary tales. After all, a healthy, happy mommy does things that are in alignment with her values and knowledge. 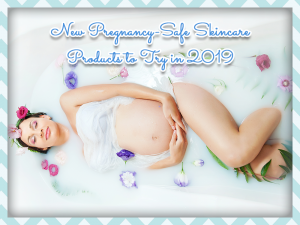 If you’re new to the Pretty Mommies brand, you’ve got plenty of products to look forward to using throughout 2019. Our products aim to please by giving your skin the attention it so richly deserves. Rather than hide behind layers of makeup, let your natural skin shine. You’ll be amazed at how easy it is with the right skincare products. Three-Step Skincare System. Cleanse, exfoliate, prevent damage, and keep your skin looking its brightest with three of our customer favorites. You get one Let’s Be Clear Facial Cleanser, one Truth Be Told Skin Enhancer, and one Protect & Reflect SPF32 Sunscreen. The three products complement one another and offer easy ways to care for your skin morning, noon, and night. Reaching for a skincare system saves you time and effort because you have everything you need to take care of your skin’s need without having to gather different products or test them out to see how they react to one another. Deluxe Facial Bundle. You get the same products that you do with the Three-Step Skincare System as well as two additional products that help your skin feel soft and maintain that pregnancy glow. The bundle includes About That Glow Brighten & Define and But First, Hydrate Moisturizer. You get five products that perfect your complexion, save you time, and provide value to your life. Mama’s Little Helper Bump & Body Butter. After showering and bathing, slather on this product. It helps keep moisture in and prevent dryness. Your skin will feel luxurious after using the body butter a few days. You’ll notice a distinct difference in the texture of your skin. You’ll also get relief from skin bumps and irritation. It’s a product that provides much comfort during the nine months of pregnancy. The products featured above are among our most popular. If you find that you don’t need a system or bundle, you can always buy individual products on our website. We sell each individually, too. That way, you can come up with a skincare regimen that works best for you. Pregnancy skin care doesn’t need to be complicated. In fact, companies that are transparent in their practices and list their ingredients on their websites have pregnant women’s best interests in mind. We want to protect your skin as well as the health and well-being of your baby. That’s why we make products that are specifically formulated for you during the different stages of early motherhood.